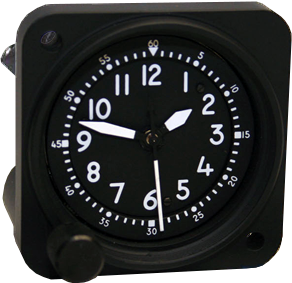 In the A-11, Waltham has taken a historically reliable aircraft clock and updated it for use both civilian and military applications. rotates around the dial once in twenty-four hours. 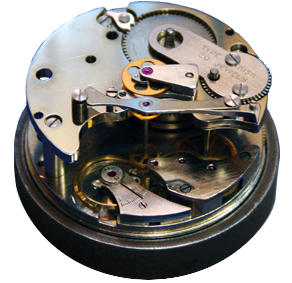 The clock contains an unbreakable, anti-magnetic cobalt alloy mainspring and anti-magnetic, temperature compensated hairspring to insure accuracy. affected by environmental extremes or system failures. Waltham can manufacture the A-11 with custom lighting configurations to match instrument panels and special dials to meet specific requirements. Clock cases can also be painted custom colors to match specific instrumeny panels. All Waltham Clocks are produced domestically. Spare or replacement parts are always avaliable. Quotes and inquires are returned within 24 hours.